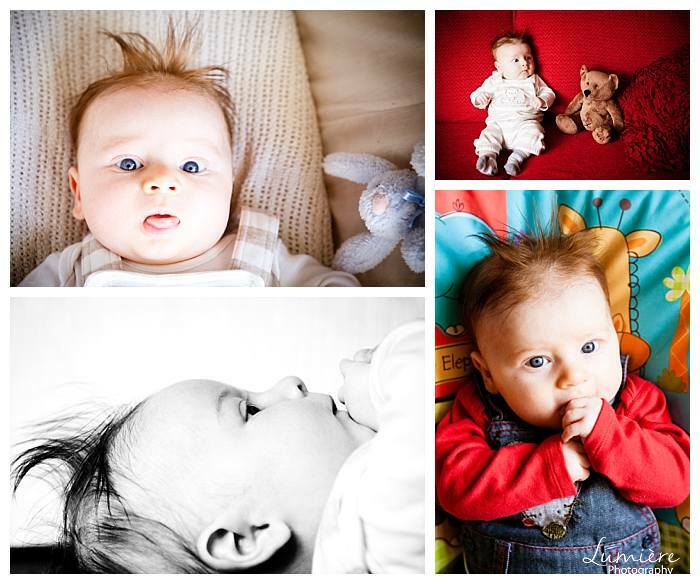 Here is a serie of portraits I did of a baby in Loughborough. We started when he was 10 weeks old, so had good eye contact and a few smiles. 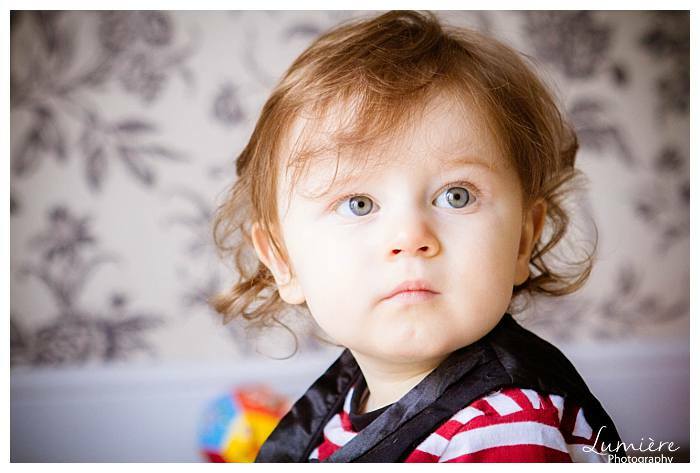 Then we met again when he was 8 months old, sitting unaided but not crawling away yet, so great for interactions, songs etc, the latest photoshoot Serge was one year old, walking- running even about, talking a bit, playing hide and seek. It was lovely weeing grow up and change, getting to know him better. 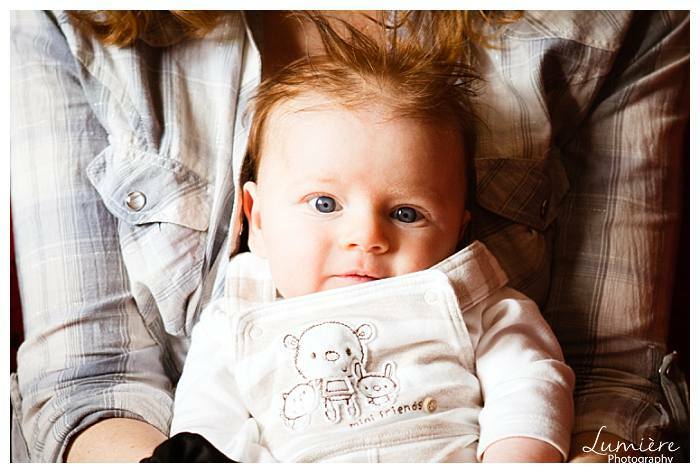 At 10 weeks old Serge’s hair stood up as a little firework, in the same tones of his mum’s hair, slightly darker. 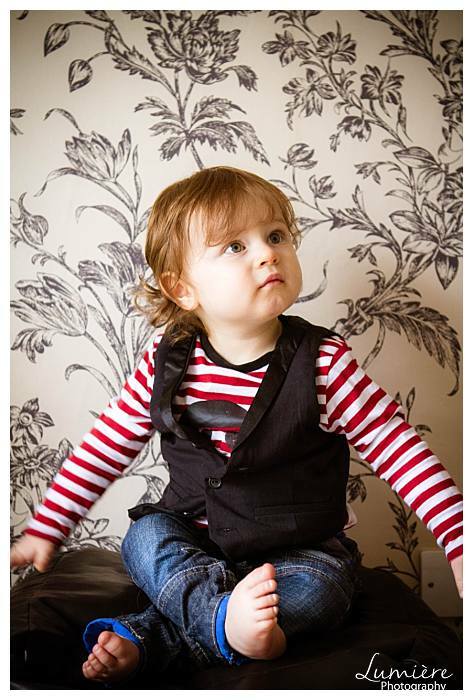 At 8 months old, Serge had not only lots of hats but many hand gestures and lots of expressions. At one year old, serge was dreaming a bit, sitting up- don’t you love babies’ toes? Then playng cheekily and finally resting. Following him around was lovely and gave me an insight in his world. With my own children, in their first year, I took a photo of them each month against a guitar- my husband is a musician – to see them grow up. Now they are big- taller than me anyhow- I still do a digital photo album of our life each year, at 14 and 15 they carry on changing from January to December, it’s our story, photograph after photograph. 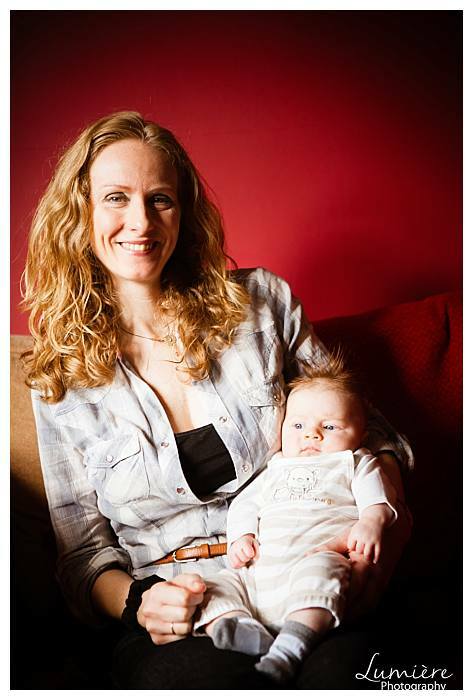 Obviously it’s easier for me to photograph local families and Serge lives in Loughborough, which is just ideal for me, but I have families I photograph up to one hours’ drive so covering Leicestershire, Nottinghamshire and Derbyshire. 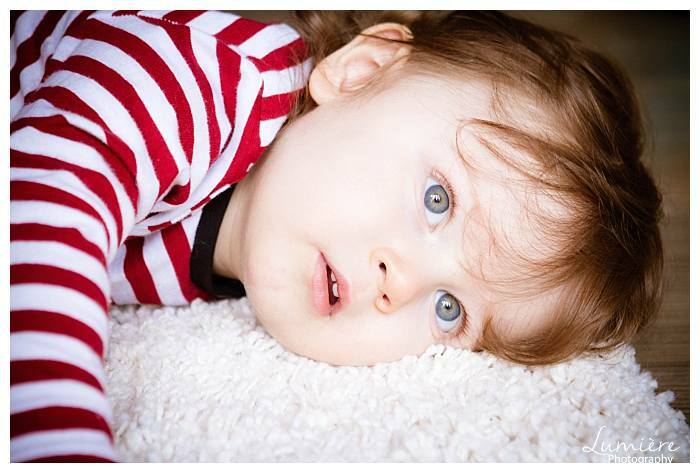 For information about family photoshoots, click here. Thank you. How my clients describe me.